Wouldn’t it be amazing if you spent one day not mentioning how anybody looks, or how you look? I think I tried it as an exercise one time. I was saying, “Oh, she’s that really funny person.” Or, “He’s that guy who has that great science mind,” so you don’t say, like, “He’s the tall one”; “She’s whatever.” And then, if you look in the mirror, you don’t say, “How do I look?” It’s almost impossible. Challenge accepted, Amy. After reading this, I vowed to spend a full week without commenting on someone’s appearance, including my own. My New Years’ resolutions usually fizzled out after a week anyway (i.e. workout more, eat healthier, etc. ), so a weeklong trial seemed reasonable. 1. It’s harder than you think. Even when I wasn’t trying to focus on a person’s looks, I had to stop myself countless times from using physical descriptors as references, such as “the one with the Super Mario mustache” or “the redhead.” I also felt cornered when a friend would say something and expect a response. I navigated these situations as best as I could–mostly shrugging and directing the conversation elsewhere, but it was uncomfortable. 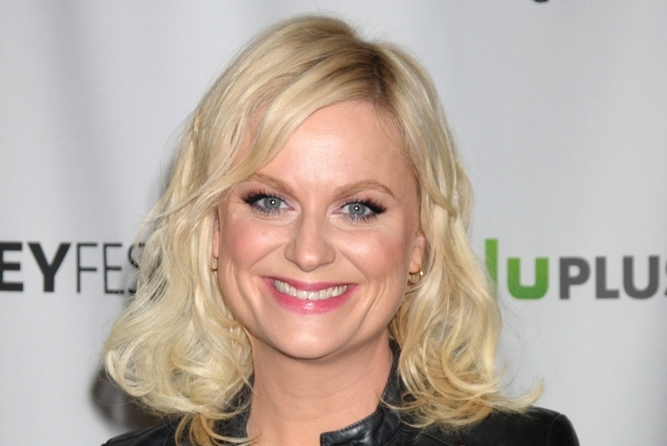 In the future, it would have been better to explain the Amy Poehler challenge preventatively during conversations in order to avoid any awkwardness. Who knows, it might have inspired others to also accept the challenge. My newfound descriptions sometimes took on a life of their own, but I was thinking more about who people were, and how they made me feel instead of just using superficial classifications. 3. I stopped caring about what I looked like. If I was truly attempting to disregard appearances, I had to stop fixating on my own. I quickly washed my face in the morning, dabbed on sunscreen, and ran out the door. I even “forgot” to wear a bra a few times, which was especially liberating. I didn’t examine my pores, use makeup, or spend time scrutinizing my body or my outfit in the mirror. I had more minutes to spare, and no one said anything about my au natural look, so either they were being kind or I didn’t look that differently from how I do normally. Regardless, it was a refreshing change. 4. I started to really listen. Since I wasn’t concentrating on how others looked, I was able to better hear what they were saying when they spoke. We all know how silly it feels to be talking while someone else is politely nodding, eyes glazed and mind clearly elsewhere. Instead of resorting to that state, I looked people right in the pupils, and made them feel heard. I even responded in ways that conveyed a stronger understanding than I had ever done previously. Eliminating the physical distractions made a big difference in connecting with people on a deeper level. So what now? I am back to wearing a bra, but I am certainly making more of a concerted effort to diminish the role that physical appearances play in my life–both in my internal dialogue, as well as my interactions with others. This exercise was much more difficult than I anticipated, mainly because I didn’t realize how prevalent that language was in my lexicon. Here’s hoping that this New Years’ resolution will have a lasting impression greater than a week.